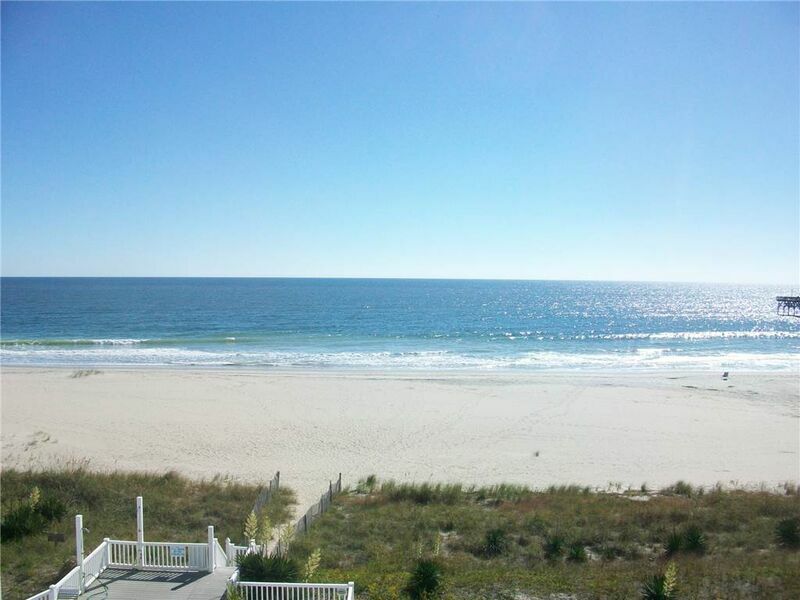 This 3 bedroom/3 bath condo is on the top floor of an oceanfront complex. But no worries: - there is a private elevator for those who need assistance and for moving luggage and groceries! The complex shares an oceanfront pool, walkway to the beach and poolside shower. This condo has its own furnished private balcony overlooking the ocean. The spacious living area also offers panoramic views of the ocean. There is a fully-equipped kitchen with granite countertops, dishwasher, and microwave. Two bedrooms are on the main floor; one is in the loft area. Other amenities include ceiling fans throughout, wireless internet access, 2 televisions and DVD player, expanded cable service with HBO. Washer/dryer in the unit. Updated bathrooms and bathroom fixtures. Conveniently located in the heart of Ocean Isle Beach! Weekly rentals only. Non-smoking, no pets. Sleeps 8. Bedding: King, Queen, 2 Doubles. This property is a Blue Ribbon property: all bed and bath linens are provided. Beds will be made upon arrival.